On April 4th, we hosted an Educational Seminar at BODiWORKS Institute on the topic of Nutrition and Autism. It was an in-depth look at the connection between gut health and brain function and we talked about the latest research involving probiotics and their benefit to symptoms and behaviours associated with ASD. Probiotics and diet have been studied for some time because it is believed to be a potential, risk-free and effective treatment for autism. The microbiome of people with ASD has fewer strains and species of microbes than neurotypical people. Those with autism tend to have more pathogenic microbes that beneficial, which is playing a big role in symptoms and behaviours. Why is this happening? 1. A disruption of the microbiome means that there are too many bad bacteria producing toxic waste in the gut and this impairs the gut lining. 2. When the gut lining is impaired, bacteria can migrate into the lymph tissues. 3. This activates an immune response and inflammatory chemicals are produced. 4. These inflammatory chemicals open up the spaces between intestinal cells and this allows undigested food molecules and toxic metabolites from the bad bacteria to enter the blood stream and travel to the brain where they cause problems. 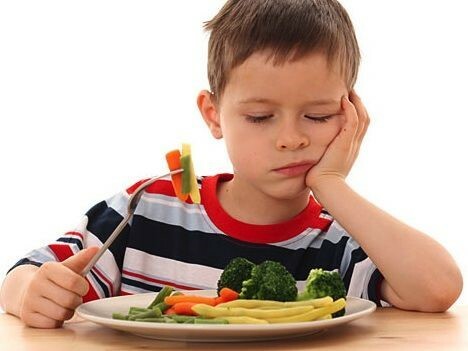 Most of the current diets that are recommended to people with autism restrict carbohydrates because carbs feed bacteria and allow them to multiply, further causing GI symptoms. However, these carbs also feed our residential good bacteria, and by removing all of them, we are reducing total microbe counts, which helps with symptoms, but over the long term it isn’t helping to improve the condition of the gut. In an ideal situation, we would be offering up a broad range of foods and nutrients that will help to improve gut health and function: probiotics, fermented foods and prebiotic foods along with other supporting nutrients that help to heal and repair damage to the gut lining. While this is great news, we also have to recognize that there are specific and unique issues that come with feeding someone with autism. Working with a professional can greatly reduce the stress that comes along with making changes. We can help you put a step-by-step plan in place that is right for your family. Our older teen and adult special needs children benefit from exercise and motor skill development programs, just like the younger ones. The developing health challenges can include such things as being overweight, joint problems, high blood pressure, hormone issues, posture and muscle imbalances, low tone or strength and poor endurance. Mental changes can include misunderstanding the above, poor self care, sexuality, social connectedness, depression and opposition. Lifestyle habits can be educated regarding self-care, leisure, sexuality, social graces and activity. Body awareness is an ongoing educational process. Teaching about the muscles, bones, proper activity, eating/food/nutrition, posture and exercise for their particular needs. Something as simple as how strong are you, can lead to a conversation about how to feel stronger. For parents, its having access to appropriate programs and professionals that is a challenge for this age group. In our opinion, the one on one approach has always been the best way to address the above elements. The importance of the relationship between the individual and the Instructor cannot be understated. This is the social connectedness for many - especially those out of high school as the pool of others around them diminishes and their adult sense increases. Keeping active frees the mind and provides self-esteem increases. Especially one on one exercise prescription - where an individual's needs are specifically addressed and a relationship developed. Something to think about! Leisure includes any activities that you might do in your free time and that you enjoy. This can include more active recreation such as playing sports or going to the beach or can be quieter in nature such as gardening, listening to music or reading a book. Leisure can also encompass activities involving groups of people like attending a party or ones that are more individual-based. Compared to self-care or productivity, leisure is often cast aside as ‘not that important’. While it is vital to address our basic care needs (eating, toileting, dressing), the importance of engaging in activities that we enjoy and that have a positive influence on our mental health should not be ignored. A fundamental tenet of Occupational Therapy is that every person, no matter their age, diagnosis, or any other factor has the right to and will benefit from having ‘occupational balance’: a balance in their daily life activities of self-care, work, rest and play. Your 15-year old child expresses both a desire and an apprehension to wanting to go to the movie theatre to watch a movie with their friends. They have tried to do so once before in the past but experienced various difficulties in the process. 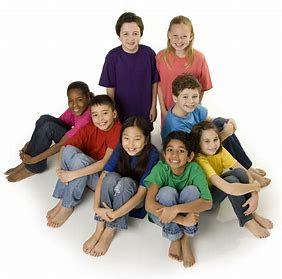 The end result was that your child did not want to go back to the movie theatre for some time and the group of friends that they went with did not want to go see another movie with your child, who was left feeling hurt and confused. · Transportation: Was the route to the theatre planned out in advance? Was the child familiar with the route? Have they been to this particular theatre before? Do they know the layout/how to navigate the signs? Do they have any physical limitations? · Money Management: Does the child have experience handling money? Do they normally use cash or a card? Do they have any cognitive delays which would hamper this aspect of the activity? · Environment: Are they able to scan information on screens to identify the theatre and starting time? Did they look up this information prior to arrival? How do they perform in other high traffic environments? Are there sensory challenges? 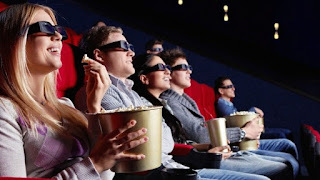 · Do they understand the relevant Social Cues: standing in line to wait their turn, leaving enough personal space for others, not talking during movie, etc? 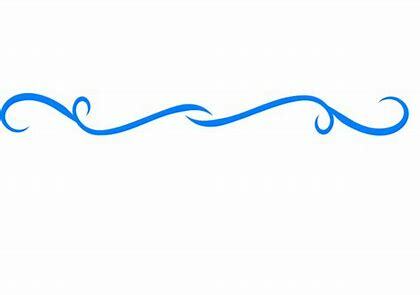 · Emotions: How did their first experience affect their self esteem, sense of well being? What emotional barriers may be getting in the way? This is just one example of what seeing an OT for a leisure concern might look like. If you or a loved one is experiencing challenges with any sort of LEISURE activities, please contact your Occupational Therapist today for more information. Please feel free to leave comments below. We welcome all your input. Productivity refers to anything you might do to develop your skills, earn a living, manage a home or help others. For adults this can take the form of paid/unpaid work or managing a family/home i.e. on the job skills such as conflict resolution, teamwork, time management or home tasks such as cleaning the dishes, doing laundry or caring for children. People place a lot of value on productivity occupations as they often make up the fabric of who we are, or who we may or may not be one day in the future – their self-identity! For this reason, OT assessment and intervention for productivity type occupations can provide valuable insight. The process the OT would take is the same as described for self-care occupations. Let’s say you child is having difficulties paying attention in class. · Is there a specific subject that is more challenging? · What is the child doing in the moment where attention is challenging? · Are other children experiencing difficulties as well? · What does their workspace look like? · What is their seating arrangement like? · Where are they positioned in relation to the teacher/other students? · What is the environment like – lighting? Noise level? Temperature? In addition to observation, interviews with the teacher(s) and the parent(s) as well as the child, would be necessary for the OT to gain a clear picture of the issues and potential barriers. Similar to self-care occupations, each individual presents with their own set of unique circumstances that may be hindering their performance in productivity type occupations, so each treatment plan will vary according to the individual. If you or a loved one is experiencing challenges with PRODUCTIVITY type occupations, please contact your Occupational Therapist today for more information. Stay tuned for the final week of our OT Month Blog to learn more about the most enjoyable type of occupations yet: leisure! October is Occupational Therapy Month! What better time to learn more about OT? ...If you are not quite sure what Occupational Therapy (or OT for short) is, don’t worry, you’re not alone! Occupational Therapy looks at your ‘occupations’, or any daily activity/task that is meaningful in your life and works together with you to figure out ways to accomplish that task. Sometimes we might suggest an assistive device, other times we might modify your surrounding environment, or we may explore different ways of completing a task. The possibilities are endless! In this series of blog posts, we will be exploring each of these 3 categories to help you better understand what they are all about and what OT can do to help. Self-care encompasses everything that you might need to do to take care of yourself. This can include basic personal care such as getting dressed, toileting, feeding yourself or it can be more complex tasks such as shaving, taking medications or nail hygiene. Anyone can experience difficulties with self-care at any point in their lives, which can be due to injury, chronic disease, disability, age, mental health or a multitude of other concerns. So what can OT do to help?... Well, an OT would start by looking at all aspects of your life, the activity in question and your surrounding environment to first establish what might be getting in the way of you being able to take care of yourself. From there, an OT would work collaboratively with you to determine appropriate solutions to the problem. Is the child having difficulties holding their spoon? Do they understand how to feed themselves? Do they look like they are in distress? What about their environment ? – does the social and physical environment set the child up for success? What is the lighting like in the room? What about the noise level? The kitchen set-up? Further assessments are often necessary. Then onto solutions! ...Sometimes a modification such as an adapted utensil or seating may be all that is needed. Other times, a more in-depth and routine feeding therapy involving gradual exposure to a food might be the answer. Often social-sensory issues are at play. Each situation is unique and requires an in-depth look and evaluation. OT’s recognize that each individual presents with their own set of unique circumstances. This means that no single treatment plan will ever be the same! If you or a loved one is experiencing challenges with SELF-CARE, please contact your Occupational Therapist today. Stay tuned next week to learn more about productivity occupational therapy. Our SENSES – where would we be without them? They allow us to experience the world in so many different ways – from smelling the scent of fresh flowers, to being able to feel the soft fur on a puppy, to listening to your favourite song on the radio. 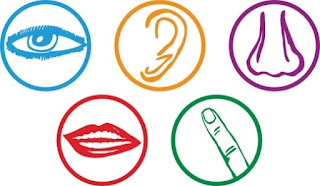 Sensory processing is essentially our ability to conceive, plan and carry out an action so that the sensations that we experience are translated into a meaningful bodily response. So, turning up the volume and singing along when you hear your favourite song come on the radio! Some individuals experience difficulties processing sensory information, which in turn greatly affects how they are able to live their lives. Current estimates indicate that between 45—96% of children on the autism spectrum experience sensory processing difficulties (Ben-Sasson et al, 2009; Lane et al; 2010). Many people may experience challenges processing sensory information, but it is only when those challenges start to interfere with their everyday functioning i.e. their ability to participate in school or complete self care tasks, that this becomes a problem. But there are also 3 more, less well known, very important senses that affect the way we interact with the world. Our vestibular sense, or our sense of BALANCE, relies on receptors located in our inner ear to help our body regulate and adjust to movement in any direction i.e. riding in a car, train or plane. Our sense of proprioception, which uses information from receptors in our muscles and joints, helps our bodies understand their POSITION IN SPACE and apply the appropriate amount of pressure we may need for i.e. writing with a pencil, pushing pedals on a bike. Last but not least, our sense of interoception, or our ability to sense what is happening INSIDE OUR BODIES, relies on a variety of receptors in our organs, muscles and skin, to help us identify things like when we are hungry, need to use the bathroom, feeling changes in temperature or pain level. have difficulty discriminating what sense they are feeling entirely! This can differ between senses too. For example many individuals with sensory processing challenges have trouble with either getting dizzy easily or never getting dizzy, feeling the need to push, jump, pull or hang or feeling the need to avoid these sensations. 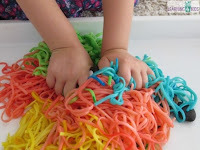 Or maybe they can only handle certain textures of foods in their mouths or don’t like to get their hands messy. These are all examples of sensory challenges, which may or may not be impacting on the individual’s ability to function in their daily lives. If you are concerned that your child’s sensory processing abilities may be impacting their daily activities, please speak to your Occupational Therapist for more information and guidance. 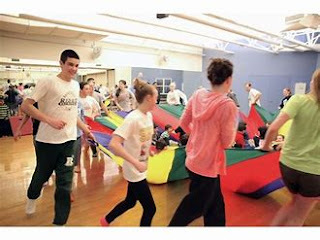 Special Needs Development - its a marathon, not a race! Children’s development often follows a set of pattered “milestones” set forth by the medical establishment. These milestones seem to be imperative and predict later success as a youth or adult. However, for those with special developmental needs or delays this simply is not the case. Developmental milestones seem to aid in diagnosis and comparative analysis child to child, yet do little for achievable perspectives for the families with special needs. Once a child becomes 8, 9 or 10years the differentiation between neurotypical and special needs widens, which causes distress among the families of these children. What will happen in 5 yrs, 10 yrs…? The above sounds simple, but in actuality most families still believe they may outgrow these delays or it is too late to try. In the past, the assumption was that challenged kids would eventually outgrow it, but research is now telling us that these challenges persist throughout the child’s life. 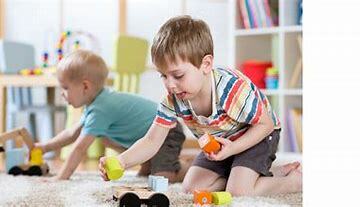 Studies have also found that children who have motor skill deficits as children are less active as they grow older. Children with *dyspraxia are especially at risk for developing sedentary lifestyles because of their lack of success being active and interest in peer interaction. Progressive intervention therefore aims at improving motor skills, social and emotional capabilities, improving problem solving when approaching a motor task, and helping children find recreational activities that will prepare them to be active for the rest of their lives. How can this all happen? Well, only with a long-term perspective. Remember it’s a marathon, not a race. An intervention that last 8 weeks will not affect a long-term change. A child needs frequency, repetition, relationship building and solid strategizing by professionals. From our experience, we see long-term progressive change and improvement compared to those who do not participate. Such things as resolving fear of heights, running and gait improvements, focus and attention increases, relationships, enjoyment of activity, confidence, knowledge, skipping, biking and other complex motor skills. We have seen the results of a long term perspective and know its really the best way to help families. *Dyspraxia is a term used to describe children who appear clumsy, have poor balance, and have difficulty performing activities in their daily lives, such as dressing, self-care, toileting, coloring, and playing on the playground. Children with dyspraxia often have challenges with visual perceptual skills, motor planning, and academic demands. Dyspraxia falls under the diagnostic term Developmental Coordination Disorder (DCD), but is also frequently seen with other developmental disorders (ie.GDD), including ADHD, hypotonia and autism spectrum disorders(ASD).